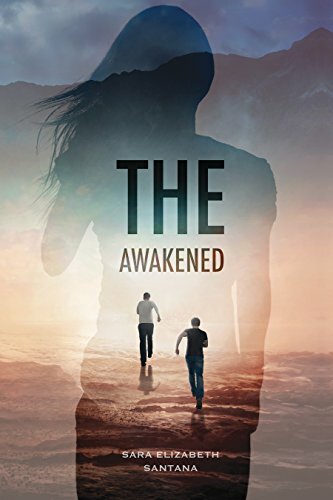 The Awakened by Sara Elizabeth Santana follows Zoey Matthews, a teenage girl whose life is torn apart by “Z:” a virus that wipes out a third of the population within weeks, and then reanimates their corpses. The undead victims are now smarter, stronger, and driven by an insatiable desire for human flesh. The male and female leads of the story, Ash and Zoey, aren’t over-exaggerated (which is a complaint I often have of young-adult novel protagonists), but at times feel dull. Yes, Zoey is perseverant and Ash is loyal, but giving a character heroic traits doesn’t necessarily make that character unique or compelling. They are by no means unlikable, but they could have been more thoroughly developed. The villain, however, is excellent. Although I can’t divulge too much about her motives and methods in order to keep this review spoiler-free, I can say that she is a fearsome and megalomaniacal antagonist perfect for a story about individuals attempting to reclaim some control over their lives amidst harrowing circumstances. The book’s greatest strength lies within its tone. The beauty of The Awakened is that it knows when and when not to take itself seriously. Santana clearly did not set out to write the grittiest, most gruesome zombie novel ever written. I firmly believe, due to her narrative and dialogic choices, that she aimed to strike a balance between thrilling action and sardonic humor, and she certainly delivers. There are moments that are swelling with suspense and dread, and there are moments, particularly between Zoey and Ash, that brim with acerbic wit and playfulness. I was surprised at how much I enjoyed the The Awakened’s pacing, because when I got to the book’s midway point and realized how much Santana had already crammed into the story and how much was still left to go, I assumed the 341 page book’s Maximum Story Capacity (as I like to call it) wouldn’t be able to fit in every plot point. Despite some minor inconsistencies, however, the book’s story is told very well. The ending leaves a few questions unanswered, but The Awakened does have a sequel, The Sanctuary, which likely ties up the loose ends. The world building in The Awakened is well-handled. When the characters move from one place to another, it feels concrete—as though they are moving through real time and space as opposed to through the pages of a book. The world of The Awakened is on the verge of the apocalypse, not post-apocalyptic; thus, when Santana introduces the reader to new environments, the descriptions feel well-integrated into the story. In other words, novels in which the apocalypse has already happened often include a lot of expository narration for the sole purpose of explaining the world to the reader. The Awakened, on the other hand, allows readers to learn about the world at the same time as the characters, which makes the novel far more immersive. The zombie-filled world of The Awakened might get messy, but the novel itself features a clean, uncluttered story about trust, survival, and control. The action is well done, the world is organic, and the take on zombies is fresh and unique. My greatest criticism of the novel is that the characters feel underdeveloped, but it should be kept in mind that The Awakened is only the first half of a duology, and I have a feeling that Zoey and Ash’s growth as characters is far from finished. 4/5 stars.